Chris Townsend is the Co-Leader of the Firm's Environment and Energy Practice Group. Chris has over two decades of experience representing forward-thinking energy market participants, both individually and in coalitions, develop, defend and improve the structures for effective and efficient competition in the energy markets. He regularly provides guidance to entities other than the local utilities, including advising large industrial, institutional and commercial energy users, municipalities and other governmental entities with energy-related issues; assisting alternative electricity and natural gas suppliers in developing the structures for energy markets; representing energy project developers on complex and cutting-edge projects; and assisting numerous other large-scale energy industry participants. On a local, state, national, and international level, Chris helps clients address risks and opportunities associated with the on-going restructuring of the electricity and natural gas industries. 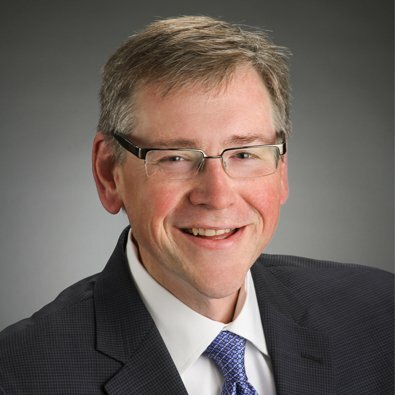 He has been involved in a wide variety of regulatory proceedings before the Illinois Commerce Commission and the Federal Energy Regulatory Commission, and numerous legislative efforts before the Illinois General Assembly, specifically with an emphasis on matters related to bringing additional efficiencies to the energy industries. He also has served as counsel to several consortia composed of large industrial, institutional, governmental and commercial electricity consumers as well as retail energy suppliers, a public water district, and a small privately owned water company. Globally, he worked with the U.S. State Department and counseled the Government of Iraq on multibillion dollar energy and infrastructure projects. Chris views the energy industry in terms of where it is headed, in order to advise his clients on how to prepare for the future. His approach is holistic, looking beyond the immediate demands of a given document or goal to the entire solution that each client needs. He is well-known for finding innovative solutions for his clients, particularly with respect to infrastructure projects and multi-faceted administrative proceedings. He is creative but practical, imaginative but grounded, and also personally dedicated to delivering a level of outstanding client service that few other attorneys in his area of practice provide. Prior to joining Freeborn, Chris was a member of the Environment, Energy & Natural Resources Practice Group at Clark Hill PLC. Represented a large industrial energy consumer in association with the development of a new transmission line to facilitate relocation of its operations in Illinois. Represented a coalition of retail electric suppliers in the delivery services tariffs proceedings of the eight investor-owned utilities in Illinois. Represented a large municipality in global settlement negotiations with the local electric utility related to reliability and rate design issues as well as multiple administrative and appellate court proceedings. Represented a statewide association of heating ventilating and air conditioning (HVAC) contractors in regulatory matters and legislative matters before the Illinois General Assembly. Represented a coalition of alternative suppliers of natural gas in local distribution company rate case to revise the rate design to advance residential and small commercial customer choice issues. Represented the Iraq Ministry of Electricity in negotiations for the acquisition of gas turbines, including representation in Erbil as well as in the Green Zone and the Ministry’s offices in Baghdad. Advised a national real estate investment trust (REIT) with an ownership interest in more than 100 facilities regarding electric deregulation issues and strategies throughout the United States. Represented a developer of a multi-billion dollar substitute natural gas facility on Illinois legislative issues as well as in regulatory proceedings involving the Illinois Power Agency, the Capital Development Board and the Illinois Commerce Commission and in simultaneous contract negotiations with the four largest gas utilities in Illinois. Represented a coalition of large industrial and institutional customers, opposing a request to increase electric rates to owners of on-site generation by over $300 million annually. Represented an independent power producer in all aspects of project development for the first full-scale, non-utility-owned power plant in Illinois following the restructuring of the electric markets. Evaluated utility contracts for a potential purchaser of a large manufacturing facility with annual utility bills in excess of $13 million annually. Represented a coalition of retail electric suppliers in a proceeding before the Federal Energy Regulatory Commission to determine whether and under what conditions a regional transmission organization should expand. Negotiated a national electric service agreement for a retailer with more than 300 locations nationwide. Represented an independent transmission company in proceedings before the Illinois Commerce Commission regarding the acquisition of transmission assets of an Illinois public utility. Represented new competitors in the electric industry in rulemaking proceedings establishing the ground rules for deregulating the Illinois electric utility industry and in the subsequent appeals of those proceedings. “The future of energy and environmental policy under President Donald J. Trump,” The Illinois Manufacturer Magazine, Winter 2017. To read the full article, click here. "Next for Illinois Energy Markets: NextGrid," The Illinois Manufacturer Magazine, Fall 2017. To read the full article, click here. "Picking Up A Live Wire: Why Energy Issues Should Be Included In Your Due Diligence," originally published in InsideCounsel, October 30, 2015. To read the full article, click here. "Cybersecurity: The energy industry case," InsideCounsel, July 23, 2015. Presenter, "Regulatory Update and Legislative Preview,” Northern Illinois Energy Users Conference in Chicago, IL (October 10, 2018). Panelist, "Legislative Rapid Fire Panel," 2018 Annual TEPA ILEPA Conference in Chicago, IL (August 15, 2018). Presenter, "The New Dynamic: Transforming the Utillity-Customer Relationship,” 7th Annual Smart Grid Customer Education Symposium in Washington, DC (September 13, 2017). This article originally appeared in InsideCounsel, October 30, 2015.